Whether you are looking for cottage or a historical beach front property, you can soon be enjoying the vibrant sunsets in Southampton with your friends, both new and old. 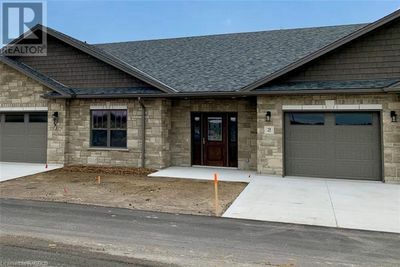 Whether you are looking for a townhouse, a vacation cottage or a century home, you will find the perfect place for you and your family right here in the beautiful Port Elgin. Whether you are looking for a beach front cottage or a vacation rental for the summer, Sauble Beach is the premiere destination for waterfront living. Whether you are looking for a townhouse, a condo or a single family home on a quiet street, Owen Sound has an outdoor-based lifestyle that is perfect for everyone. Find real estate for sale across both Grey & Bruce Counties. If you are looking to buy a home, cottage or real estate in Southampton, Port Elgin or Sauble Beach or just looking to gather solid information about the local real estate market you have come to the right site! I am here to give you professional advice on buying and selling in an area I specialize in. Every family or individual has their own unique lifestyles and interests. With that in mind, it is my goal as a Southampton Real Estate Agent to help you find that special home or cottage that is perfect for you. Living in the area myself I can help you find any Grey & Bruce Listings across the Saugeen Shores area which include Southampton, Port Elgin, Sauble Beach and Owen Sound. The market is constantly changing and I may know of homes and cottages in this area that are not even listed on MLS®. My web site will give you the ability to be first in the door! As a Real Estate Agent, I have access to many listings for sale by other Real Estate Agents that I can help you with. Looking to buy Homes in Southampton or Cottages in Sauble Beach or Real Estate anywhere across Grey Bruce – here is how! If buying real estate is why you are here, I am ready to assist you throughout the entire process. If you are a homebuyer or an investor check out these resources to get started in the right direction. Selling a Saugeen Shores or Grey and Bruce Property? If the time has come and you are looking to sell that home or cottage and would like to know how to get started, I will provide you with the best real estate resources & advice. As you consider your options please let these tools assist you.